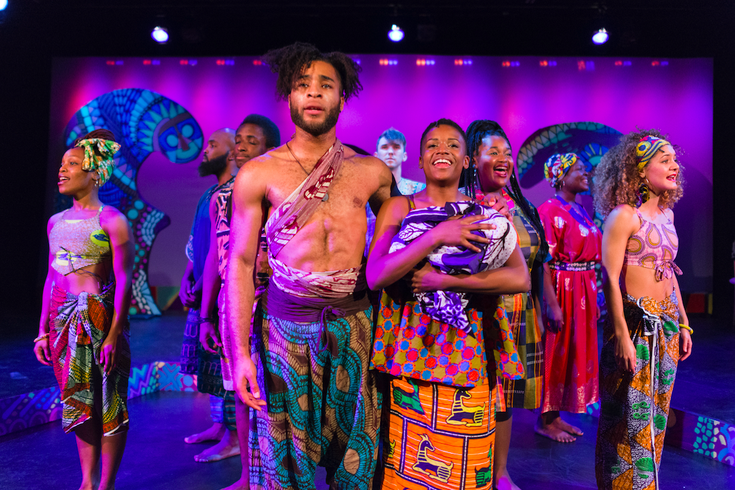 African dance and other contemporary styles are incorporated into the musical performance of Langston Hughes' "Black Nativity." Theatre Horizon, located in Norristown, is celebrating the holiday season with a production of Langston Hughes' "Black Nativity." The musical show, which was first performed on Broadway 50 years ago, runs through Dec. 13. The show has been extended from Dec. 6, which is the first time the theater has ever extended a production. African and contemporary dance and gospel-style Christmas carols help tell the re-imagined Nativity story. This production of "Black Nativity" takes audiences on a journey from ancient Africa to post-Katrina New Orleans. Theatre Horizon wants to reflect its own community and the current times through its production. "The show starts in Africa, but ends in present-day America, where our biggest challenge is integrating diverse cultures, and our biggest opportunity is the chance to use our great national resources to lift up all people. That theme of hope for a brighter future for all is the essence of the Christmas story, and rings true in our community here in Norristown,” Theatre Horizon Artistic Director Erin Reilly said in a press statement. Each performance of this family-friendly show will feature a local choir or singing group. Choirs scheduled to perform include the Norristown Baptist Church, Nick Reynolds & Family Affair, TJ Wilkins & Complete Deliverance and Joy Unlimited Youth Choir.